Debaser Slussen opened for the first time in 2002. 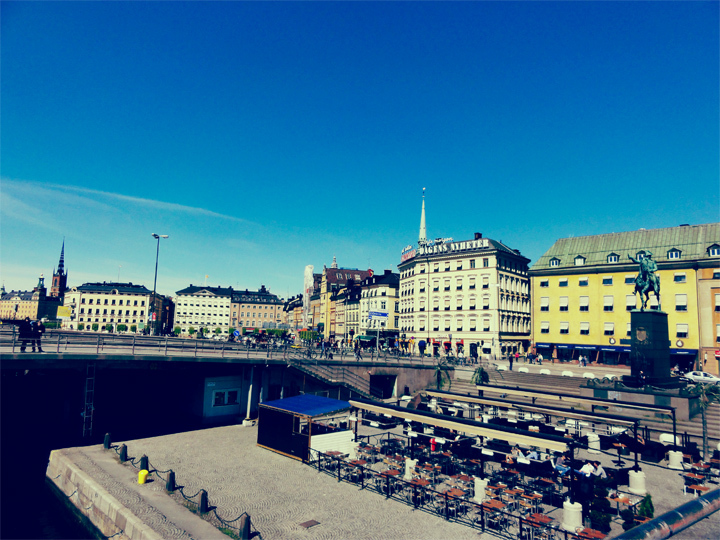 The building, located between Slussen and The Old Town, is very popular, especially during spring and summer time. The club got a very dim lighting, which make the atmosphere pretty boring and bland. To be honest, the music is pretty horrible as well. But the outdoor dining is much nicer and that’s where you should place yourself during your visit here. Price: Toast Skagen with fish roe cost 145 SEK, caesar salad costs 165 SEK and beef (200 gr) cost 210 SEK. The dessert dishes costs between 68 and 75 SEK and a glass of whit vine cost about 75 SEK (depending on which brand). The club is closing at 03:00 p.m.